The Cup Final foosball table comes with a couple nice features like the adjustable leg levelers, side ball return, and end mounted cup holders. 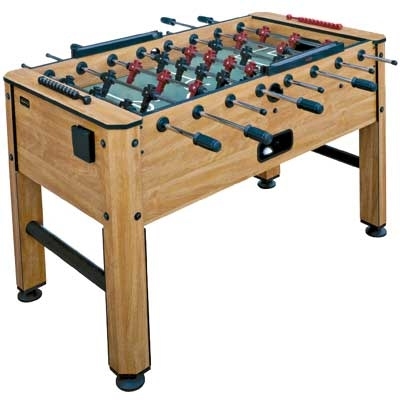 The Halex company manufacturers different levels of quality foosball tables from kids tables to department store tables. The Cup Final foosball table, model number #50146, falls into the middle of the road as far as tables made by the Halex brand. This foosball table is priced at around $300 US.